You never want to get swept by a team. 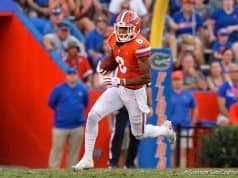 You especially don’t want that to happen on your home field but that was reality for the Florida Gators on Saturday night. Florida sent Tyler Dyson to the mound in game three. A week ago the junior was moved from Friday night to Sunday but Dyson has kept his head high and it showed. Dyson retired the side in the first inning on 12 pitches. He worked around a leadoff single in the second inning to retire the next three he faced. Mississippi State would score a run in the third. Gunner Hatcher doubled and Jordan Westburg followed suit to break open the scoring. That’s all Dyson would give up. After the run Dyson retired nine of the next 10 batters he faced and the Gators gave him a lead to work with. Nelson Maldonado le off the fourth inning with a double to left center. Following a strike out Wil Dalton singled to put runners on the corners. Maldonado would score on a balk with Dalton advancing to second. Freshman Kris Armstrong doubled down the right field line to give Florida its first lead of the day. Brady Smith singled to pate Armstrong, extending the lead to 3-1. Maldonado extended the lead with a solo home run in the fifth inning. Dyson would give up one more run in the seventh inning before being replaced by Christian Scott. The freshman battled with Westburg but won getting the third baseman to swing and miss on a breaking ball. 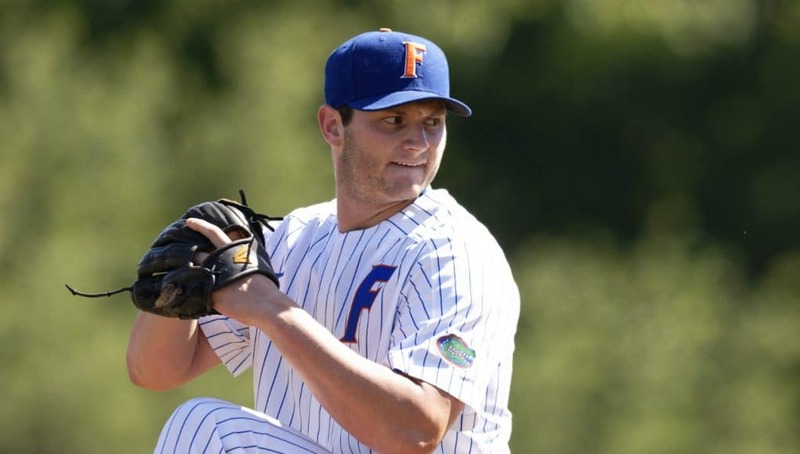 Scott would finish the game and earn his first career save as the Gators won 4-2. Kevin O’Sullivan warned that his team would face a tough test in the first game on Saturday. Mississippi State sent freshman JT Ginn to the mound to start the second game looking for the series. Ginn was the 30th overall pick in the 2018 MLB Draft but chose to go to Mississippi State rather than sign with the Los Angeles Dodgers. Ginn lived up to the hype. “He can manipulate his fastball like I haven’t seen from a young kid in a long time,” O’Sullivan said. Ginn would allow three runs on 10 hits but he struck out 11 and didn’t walk a batter. It helped to go out on the mound with a lead, which Jake Mangum’s leadoff home run over the right field scoreboard did. Sophomore starter Jack Leftwich settled down after that but allowed three home runs on the day before exiting the game with a blister on his throwing hand. 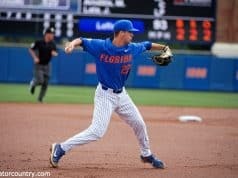 The Gators battled back from a 4-0 deficit in the sixth inning. Austin Langworthy singled to bring Wil Dalton around to score but Mississippi State’s deep lineup added two runs to make it 6-1. 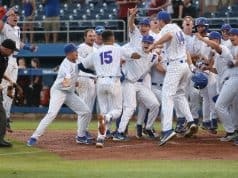 The Gators would keep scoring but Florida’s bullpen couldn’t stop the bleeding. The Bulldogs would take the series with a 10-5 win.